Welcome to StLouisCityCalendar.com, serving The City of St. Louis, MO, as the one stop source for all event information! Need information about what's happening in the city? Planning an event and need to choose a date that doesn't compete for the same audience? 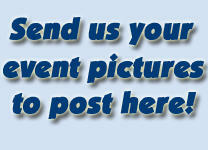 Want to spread the word about your event? Get Involved. The City of St. Louis is a great community - and you can make it even better!